Lake Hallie Cabinets is a family-owned business located just north of Eau Claire, Wisconsin. 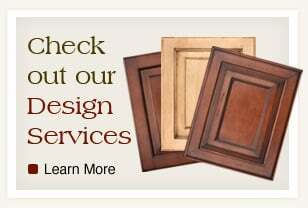 Our services range from full custom cabinetry design and installation to millwork to complete interior design. Our close relationship with local builders also gives us direct access to their expertise for installations and working with new and existing spaces. We see it all the time – customers come to us hesitant and skeptical that they are going to be in for a nightmare. To our customers' pleasant surprise, we help them design and finish their spaces with ease and without the frustration that they had expected from a remodeling or new design project. Our promise to you is to help you design your spaces and guide you through the process so that you have a great experience. It's a common misconception that custom means expensive. We encourage you to come in to our showroom and see first hand that custom doesn't have to be expensive. We’ll work with you to achieve the look you want while staying within your price range.